MISSION VIEJO – Capistrano Valley maintained its one-game lead in South Coast League baseball with a 3-2 win over Tesoro on Friday at Capistrano Valley High. The Cougars (17-6-2 overall) are in first place in the five-team league with a 6-2-2 record. El Toro, a 6-1 winner over Dana Hills in Friday’s other South Coast League game, is second at 5-3-2. The Capistrano Valley and El Toro ties were against each other. Tesoro (11-12-1) is in fourth place with a 3-5 league record. Four of the Titans’ league losses were by two or fewer runs. 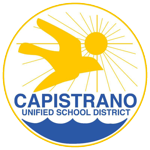 Capistrano Valley, ranked No. 9 in the Orange County top 25, has won seven in a row since a loss to Laguna Beach on the first day of the Ryan Lemmon Invitational. Danilo Tiotuico’s two-run single for Capistrano Valley in the third inning was the difference. Tesoro took a 1-0 lead in the top of the second inning when Rhett Woodard reached on an infield single, advanced to third base on an errant pickoff attempt and scored on a wild pitch. The Titans made it 2-0 in the third inning on pitcher Parker O’Neil’s line-drive single to left field that drove in Tyler Ramirez. Capistrano Valley got its three runs in the third. Chad Call led off with a walk. Lance Gardiner followed with a hard-hit grounder up the middle that O’Neil could not control for an infield single, with Call stopping at second base. Nathan Benefeito’s drag-bunt single down the third-base line loaded the bases. Garrett Broussard hit an opposite-field single to right field to drive in Call to make it 2-1 and two outs later Tiotuico, batting left-handed, pulled a liner into right field to send home Benefeito and Broussard for the 3-2 lead. Tiotuico also had a single in the sixth inning and was 6 for 7 in the two-game series this week against Tesoro that included the Cougars’ 10-3 win Wednesday. The Cougars used four pitchers Friday. The most effective was junior left-handed reliever Daniel Lee who pitched 3 2/3 scoreless innings. Tesoro had runners on first and second with no outs, but Gardiner took the mound and got the game’s final three outs. Capistrano Valley plays two games next week against third-place Mission Viejo – Wednesday at Mission Viejo and Friday at Capistrano Valley. No. 11 Tesoro’s next league games are April 23 and 25 against El Toro. 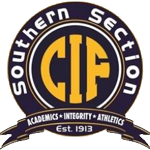 Capistrano Valley first-year coach Adam Sorgi called Friday’s game “a typical” South Coast League game.